Spoiler: An alternative ending released by author Ai Jingjing revives the female protagonist, who had died in the book. 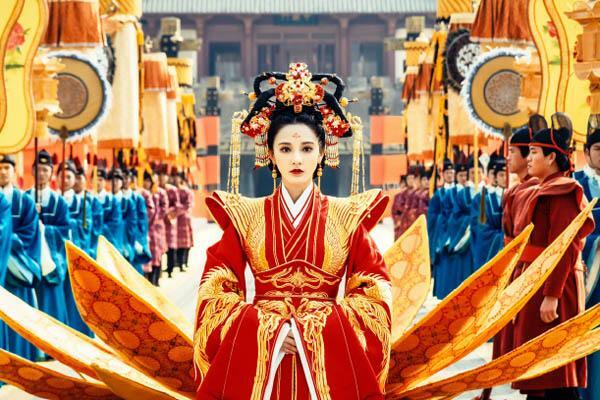 Goodbye My Princess <東宮>, which is adapted from the Chinese novel of the same name published in 2010, has been airing to positive reviews. The novel’s unhappy ending however left many fans of the novel bemoaning the sad closure, but the author recently released an alternate ending giving everyone an unexpected surprise. Most of Fei Wo Si Cun‘s (匪我思存) novels end in tragedy, and dramatic adaptations evoke even sadder viewer responses, thus giving the writer the nickname of “Queen of Tragedy”. In 2010, she published Goodbye My Princess, which tells the story of the relationship between 9th Princess of Western Liang and the Sui Dynasty’s Prince. The book’s ending, sweet and heartwrenching at once won over many fans. The television adaptation nine years later feature Chen Xingxu (陳星旭) cast as the malicious Li Chengyin, and Peng Xiaoran (彭小苒) as princess Xiao Feng. The good-looking couple, combined with the loving interactions between the two, was praised by readers for being close to the original novel. While rumors of a double ending were dispelled by the production unit, it later promised to give viewers a surprise twist, leaving readers and fans filled with excitement. 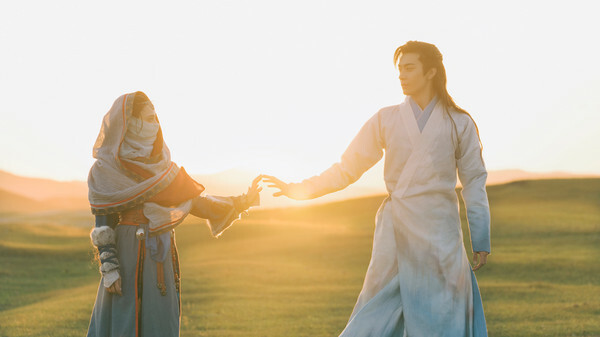 In the original novel, 9th princess slits her throat, leaving Li Chengyin full of regret that he will lose the love of his life forever. On her social media, the author revealed that she had written an alternate ending many years ago, which she recently unveiled. After chasing Xiao Feng to the Yumen gate, Li Chengyin discovers that Beizhao has in fact already released Xiaofeng. Li Chengyin shoots an arrow in her direction; with his skilled shooting but he did not injure her as the arrow went safely through her hair. Xiaofeng shoots back in return, injuring Li Chengyin and leading everyone goes to his rescue. In the meanwhile Xiaofeng and Ah Du run in the sunshine on verdant fields, towards the direction of home. The author also added that “Li Chengyin can escape that arrow, as Xiao Feng is much less skilled than himself in terms of strength and accuracy. The fact that he chose to be hit by the arrow goes to show that he (wanted to) let her go because of true love.” The delivery of an author-approved surprise ending which allowed the female protagonist to escape the clutches of death nine years later thrilled fans of the novel, evoking reactions ranging from crying out loud to intense joy. With the drama airing to popular reception, there were rumors that Goodbye My Princess will have a special double ending. However, the production crew denied this and said they will respect the original work, but will give audiences an emotional outlet to satisfy their demand by providing a hidden surprise following the drama’s conclusion. One of the few times where I agree with the original ending. LCY deserves to be alone, and it is relief for XF. @tiffany I haven’t seen the drama but read enough to know the story, and I have to say if they change this into a happy ending, I will further look down on it lol. And I don’t like how the author changed it to he willing to die at her arrow either, I agree with many that it’s too easy for him. I also don’t like how the original end either :/ she could just live a happy life and knowing that kill him will be the best kind of ending. If she die, i just think it’s wrong lol. The idea that your death will torture the one you love has always been naive to me, especially when the guy is a D bag. I just watched through 10 very emotionally draining episodes, some I skipped some I watched scratching my head, wondering how our hero can expect our heroine to survive on only his true love when he basically ruined her entire life thrice over (maternal grandpa is one, dad and mom is second and her own self third). I read the synopsis and can’t figure out what the heck is this series about. I was hoping it isn’t that sort of tortorous love like Journey of Flower or those story of girl rising in ranks. It is neither I think. I am not sure what it is about. It is like he made the girl suffer and then REBOOT and hopefully she makes him suffer and what? REBOOT again? Never ending suffering? Reading this spoiler, whether either he suffers by her death or he suffers by her escape, it makes me feel their entire journey is pointless. Gonna start ep 11 aka the reboot so maybe I could be wrong and that this series has a point. The actress reminds me of a shorter Tang Yan, even her voice dub sounds familiar. She can definitely act but the make up dept put too much foundation on her and too much spotlight and so suffers from No Sweat syndrome. The hero is skinny, dramatically… not good. sorry but I am not enamoured by him. Not very princely or kingly or even ruthless or romantic. How can anything he do be romantic when at the back of my mind he kinda caused a lot of deaths. This series is weird. Hated the English title. Made it sound so chirpy, comedy, lighthearted romance drama when it is just so much pain and suffering and loss. @funnlim Won’t watch this for the very reason you listed – seems like it’s all pointless as the main lead never even tries to redeem himself. Some people love a good wallowing tragedy, though, even if the tragedy is mostly senseless. In the same vein, I don’t understand White Snake either. Nobody gets their happy ending and all their efforts were pointless. The end. If they do have an alternate ending then let her live and leave him forever and return to her homeland.